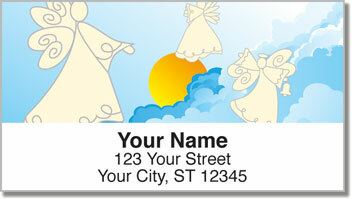 You'll love the adorable little angelic beings featured on these return address labels. Four divine scenes depicting charming angels in the sky remind you that signs of heaven can be found all around us. Maybe you believe you have a guardian angel, or that loved ones you lost are watching from above. Whatever the case may be - these labels are a comforting reminder of something bigger than us. 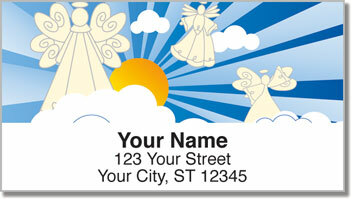 Angel Address Labels from CheckAdvantage truly are heaven sent simply because of how much easier they make the task of preparing your outgoing mail. Just peel and place instead of scribbling out your name and address on every envelope! 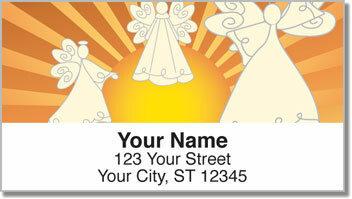 Make Angel Address Labels yours today! 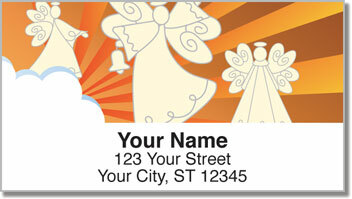 Don't forget to add the matching personal check design!